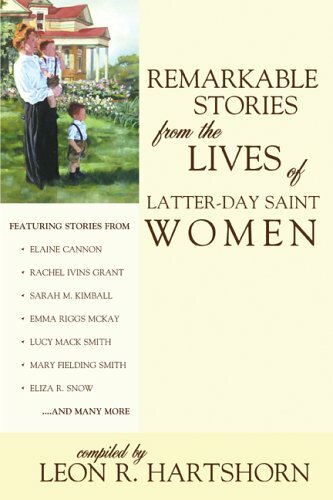 Publisher: Spring Creek Book Company, Provo, Utah, U.S.A.
Valiant women have always been a true source of strength throughout the history of the LDS Church. Their testimonies of the restored gospel, combined with acts of faith and devotion, have produced many miracles. While many of those experiences have been lost to history, many others were recorded for future generations to read, ponder, and apply in their own lives. Noted author and scholar Leon R. Hartshorn first published these stories in the early 1970s as a two-volume set. He has recently re-evaluated each story and has carefully selected the most outstanding stories for this volume. In this collection you will read about testimony-strengthening events, small miracles and heavenly assistance, both as the LDS Church was being established and also in recent times. This compilation will create admiration and appreciation by readers for the service and sacrifices given by the faithful women throughout Church history. It is also a wonderful reference tool for Family Home Evening or Church lessons.